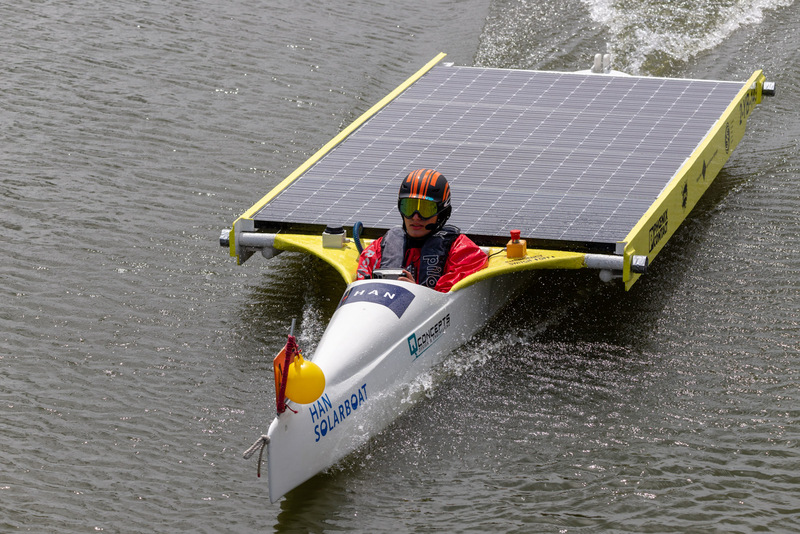 The technologies in solar-powered racing are constantly changing. Partly because rules change, more innovation is also allowed in the A-class. This involves, for example, using (much lighter) solar cells instead of (heavy) standard solar panels. In 2017, some teams have already applied this technique. Also, hydrofoils are emerging within the A-class. In order to continue to compete in the top of the A-class in the coming years, we will continue to innovate in new techniques and applications where the focus is also on the use of sustainable materials. The HAN Solarboat, called the Photon, is a boat that sails on solar energy. 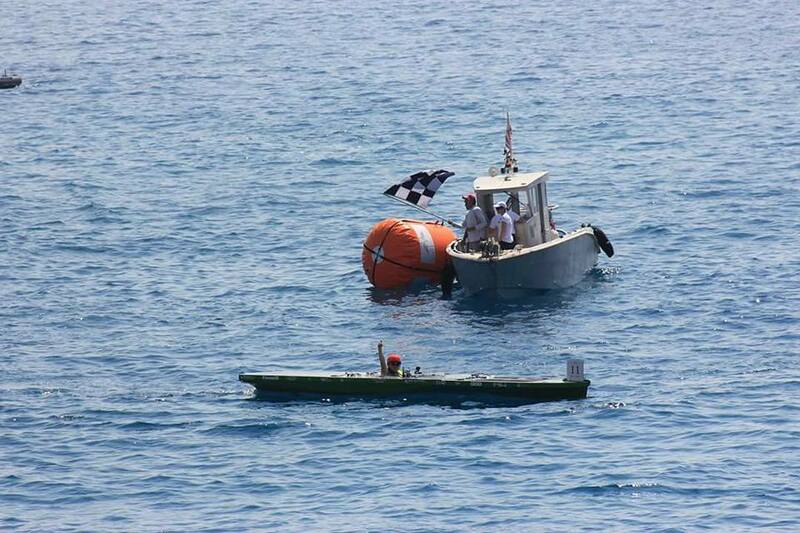 This boat is worked by enthusiastic students from various study programs and young professionals. They participate in national and international races with the Photon. IIME provides the facilities of the workshop and offers professional support from the field. Every internship period a new team works on the HAN Solarboat. At IIME you as a student get the opportunity to work independently on the development of the Photon. 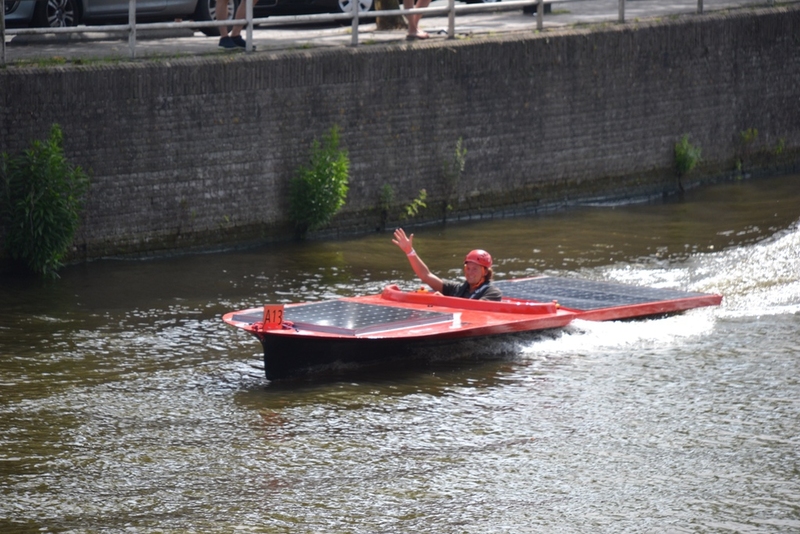 During the DONG Energy Solar Challenge in 2014, Sinnergy Solarteam from ROC Friese Poort Drachten gained a 3rd place in the A-classification. Here a number of members of the team did not want to leave it at all. Out of enthusiasm and passion an own team has been set up: Sunflare Solarteam. Our team consists of four former members of the Sinnergy Solar team and an advisor. With all this experience and enthusiasm we want to promote green energy and achieve good results in the solar boat racing. 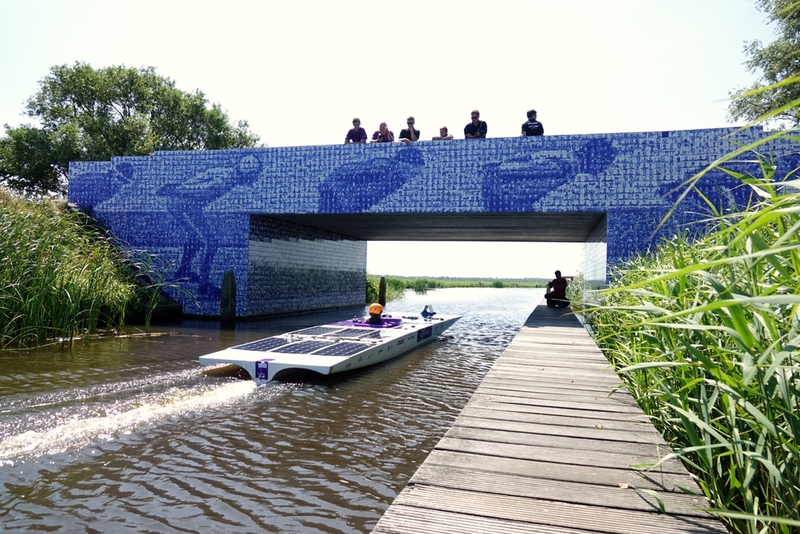 The Solar Team ROC Friese Poort consists of 8 students from ROC Friese Poort in Sneek. After a strict selection procedure, the team was formed from several relevant departments of the MBO school. The studies Electrotechniek, Watersportindustrie, Mechanical Engineering and Maritime Techniques are represented in it. Organizational, creative, commercial, technical, theoretical and practical talents contribute to this project. Throughout the year, the team will be busy adjusting and racing with the new solar boat, Sinnefugel. Inspired by its rich history in the A-class, the team is keen to produce the most efficient boat for the top class this year. Sinnefugel has only one goal: to conquer the title in the top class. The name of Sinnergy Solar Team, you can read in Sinne means in Frisian 'sun' and with some imagination you can still read something of 'energy'. The name originated from the word synergy. Synergy emphasizes the positive side of the collaboration: by joining forces, more can be achieved than in individual work. According to the formula 1 + 1 = 3. The word synergy comes from the Greek word 'synergia', which means 'cooperation'. All together, the name Sinnergy Solar Team is created. 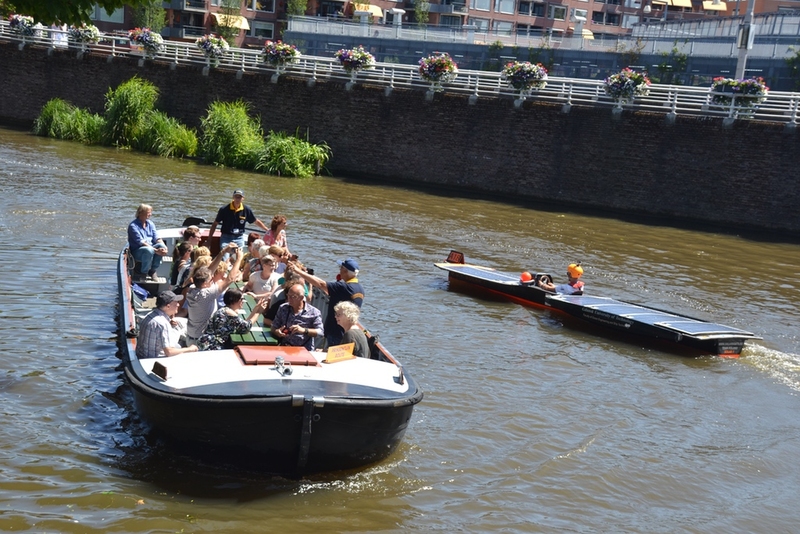 Ús boat is a project of the Friesland College in Leeuwarden. In this project an existing solar boat is being refurbished / improved by 2nd year students from the Technolyceum. Info about this team will follow soon. 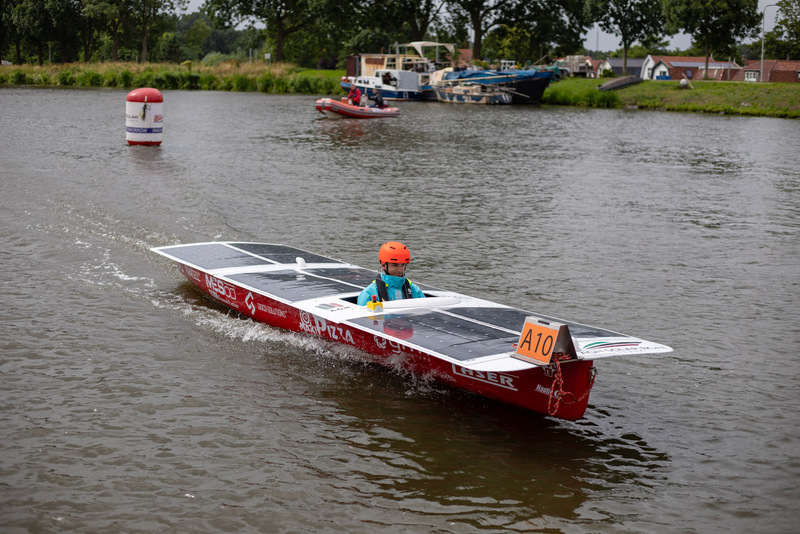 The Avans Solar Mariteam launched her first boat in 2014 and competed that year in the DONG Energy Solar Challenge. 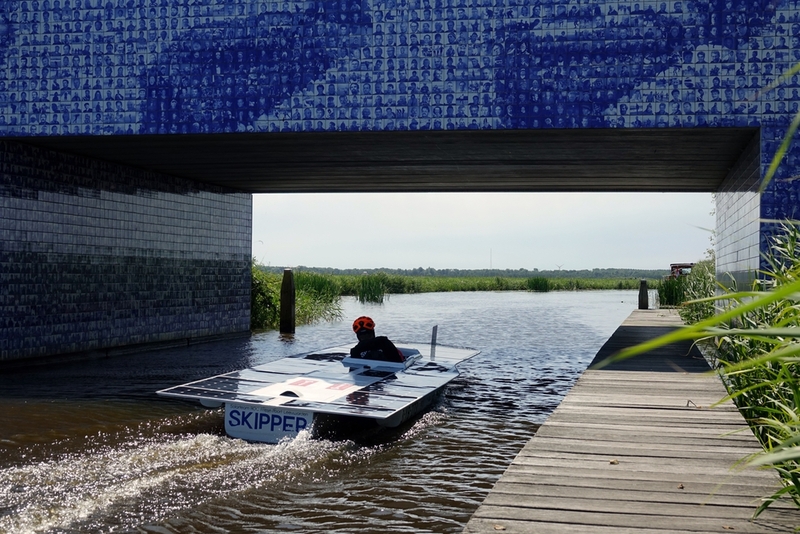 Two years after her maiden voyage, the team decided to start with the design of a new solar boat. 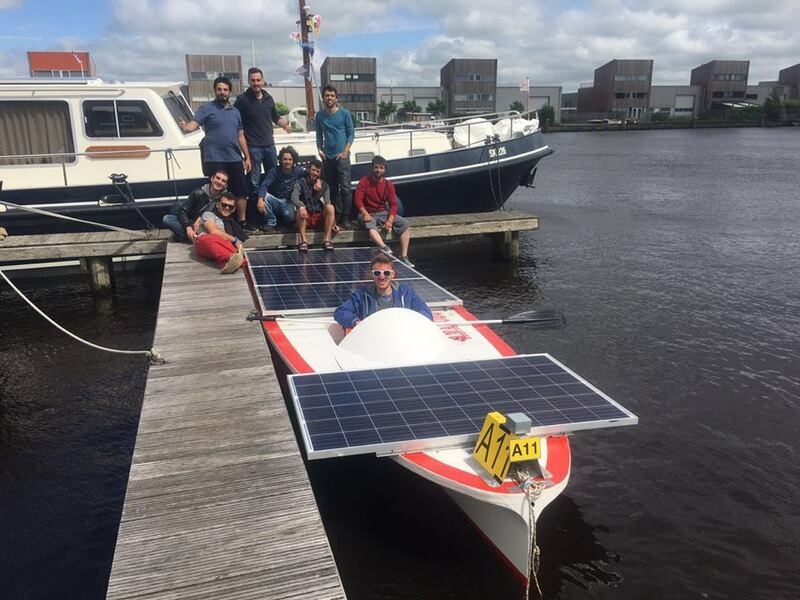 In this project Electronical Engineering and Mechanical Engineering students have been working closely together in the design and realization of the new Avans Solar boat supported by Pebble Green Systems. 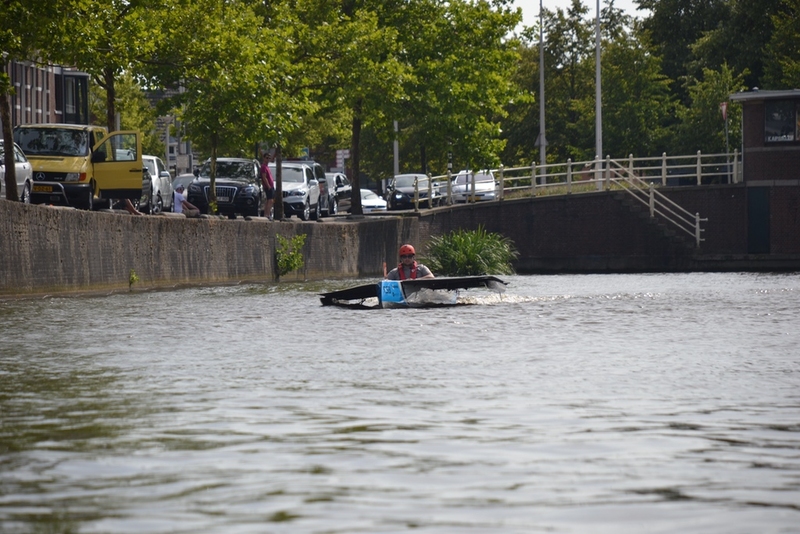 Recently first operational tests have been successfully completed and a team of 7 students and some enthusiastic teachers is now working hard to finish the boat in time for the race in Groningen/Leeuwarden in the first week of July. Our main goal for this year is to compete and obtain operational experience with the boat, in preparation for great results in the next year. 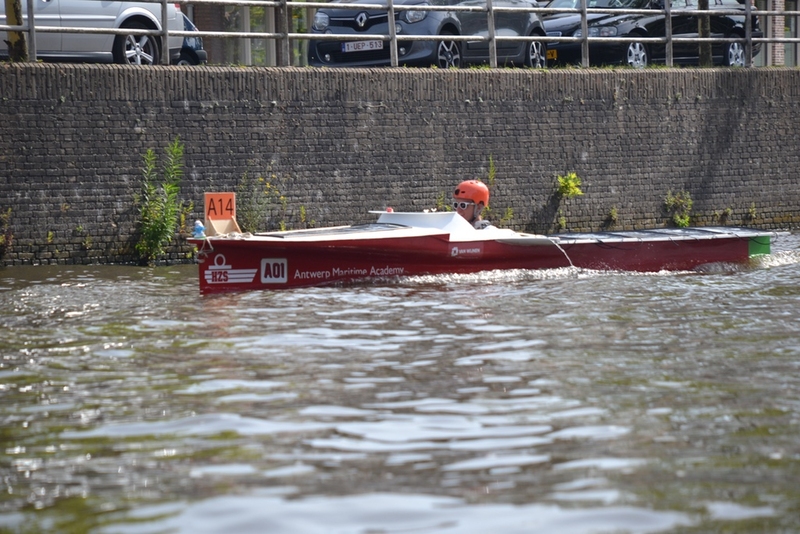 The idea of ​​building a solar boat for the competition in Monaco has been circulating at the Faculty of Energy and Fuels for a long time. In the autumn of 2015, students belonging to the "Eco-Energy" circle together with the Academic Sailing Club started joint activities. They shared their dreams and one goal - participation in the international solar boat competition Monaco Solar Energy Boat Challenge. The various skills of the members helped to create the first team of the team, which in the coming months has grown considerably. The beginnings were not easy, we constantly encountered new obstacles, but we believed that what we do makes sense. Sustainability and innovation are our main pillars. We want to promote sustainable and solar energy by showing the possibilities. We do this by participating in as many events as possible in the Netherlands and Europe. During the solar races of, among others, Solar Sport One, we take on other teams to compete for the championship. To achieve our goals, we are supported by various companies such as InnoSol, De Drait, INDI and SUNBEAM system. Because of the enthusiasm with which the students completed previous projects focused on solar energy, a teacher asked if they wanted to participate in the solar races. Jim did not hesitate for a moment. 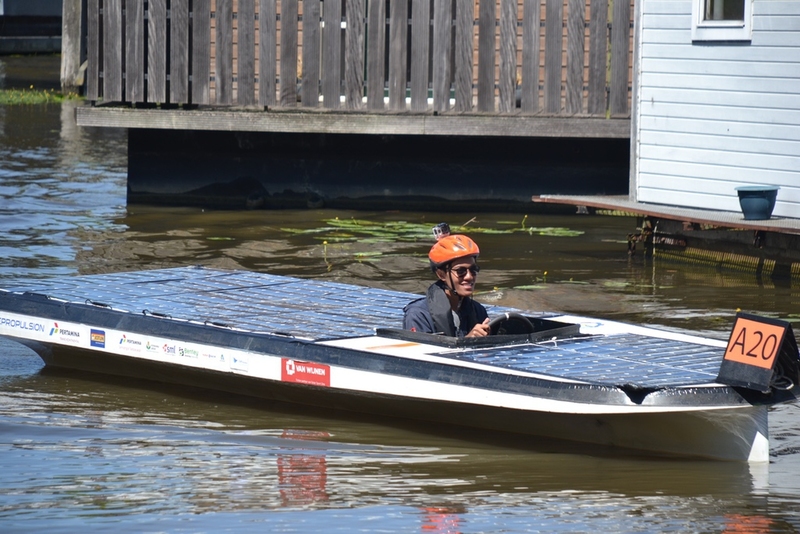 "When do you get the chance to build a 'solar boat'? ", He says enthusiastically. Every Tuesday the team can be found in their workshop at MBO College Westpoort. We are working hard on the design and construction of two boats, called Maryland and California. 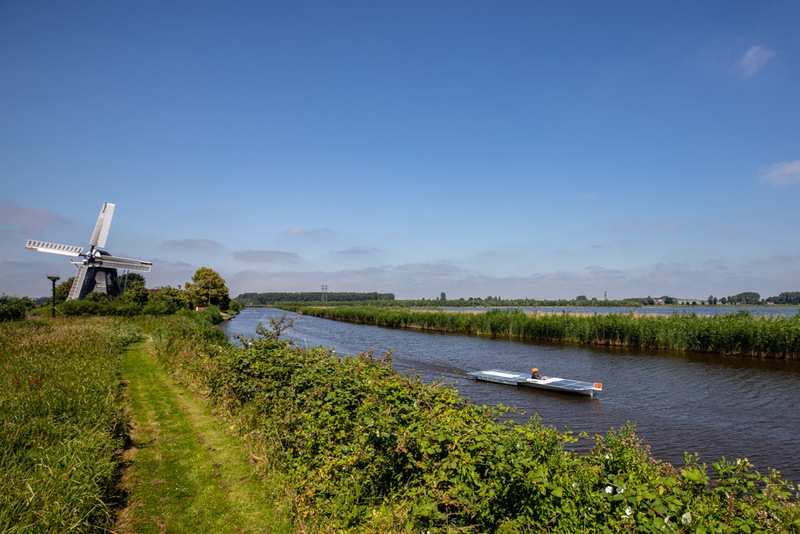 Since 2008 students and teachers from the Marine Engineering department of the Antwerp Maritime Academy (HZS) are working on the development of a solar boat. 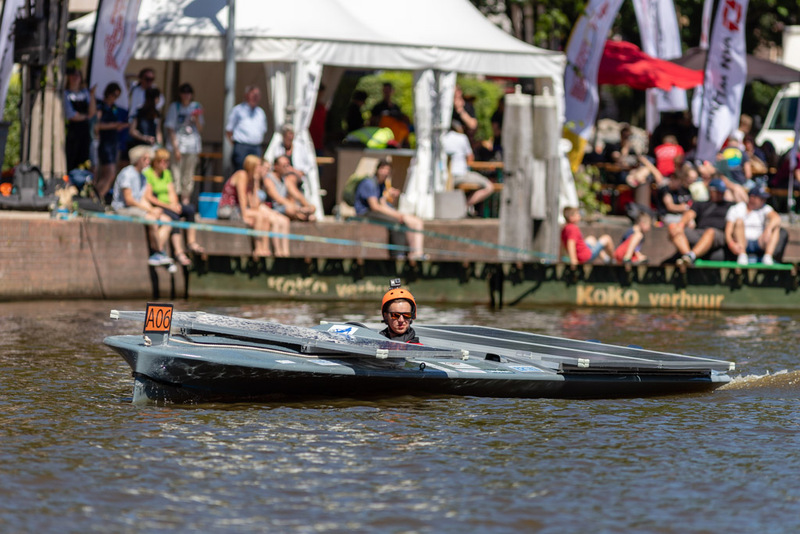 With the solar boat the HZS is participating in several races, such as the Solar Sport One races and the annual Monaco Solar Boat Challenge. We are a group of industrial engineer students at the Faculty of Applied Engineering Sciences of the University of Antwerp. This year we consist of seven students from the third bachelor year and five students from the master year. Técnico Solar Boat is a university project consisting of cross-degree engineering students at Instituto Superior Técnico that work together on the development of a solar powered boat. Our main purpose is to participate in worldwide university competitions organized by Solar Sport One, such as Monaco Solar & Electric Boat Challenge. Currently we are a unique project because we are the first group in the Iberian Peninsula to have a completed prototype. This led us to excellent results on our first competition in Monaco Solar & Electric Boat Challenge 2017. Aiming towards Green technology university of Bahrain formed a team consisting of 8 members ( Technicians and students ) from different engineering majors to participate in the solar sport one races. Learning and competing is what the team looks for and there is no better place to be . GUT Solarboat team is very motivated group of students from Gdańsk University of Technology. We started taking part in solarboats regatta in 2008 and we are continuously passionate about it. We are using our experience to keep on developing our vessel, which is a perfect combination of simplicity, creativity and effectiveness. Universitas Indonesia Solar Boat Team (UI SBT), is a group of engineering students of the Universitas Indonesia that have an interest in the field of renewable energy, particularly in the field of solar energy. It is triggered by the issue of global warming are rife discussed by the world community. Departing from this, we as a UI student wants to contribute in the fields of environment, but still not forgotten our basic as engineering students. After doing considerable research done on what to focus on, we agreed to develop and create a solar-powered boat. 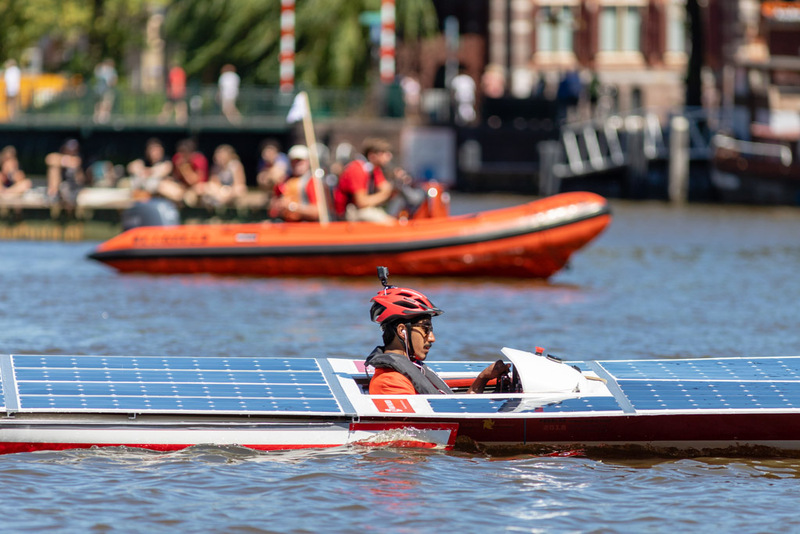 In order to have a goal to be achieved, our team participate on a race of solar-powered ship on the international level, the Solar Sport One solar boat races. "ITS Marine Solar Boat Team is a research team consisting of students from Institut Teknologi Sepuluh Nopember. Founded and established in 2011. The team is engaged in the development of solar energy use for maritime transportation purpose. 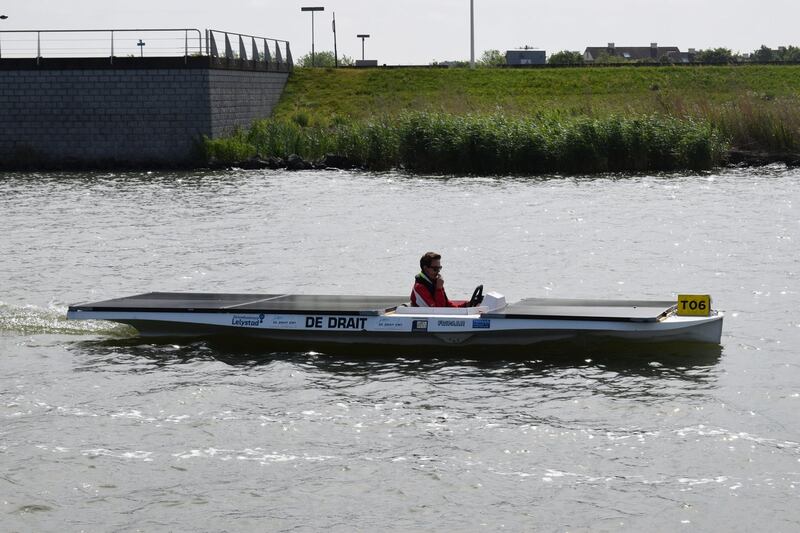 The team do research about a solar-powered boat and will present the results on an international competition. The team is committed to substantiating a contribution to prove that the research is worthy so that it will be more favorable to be used someday. 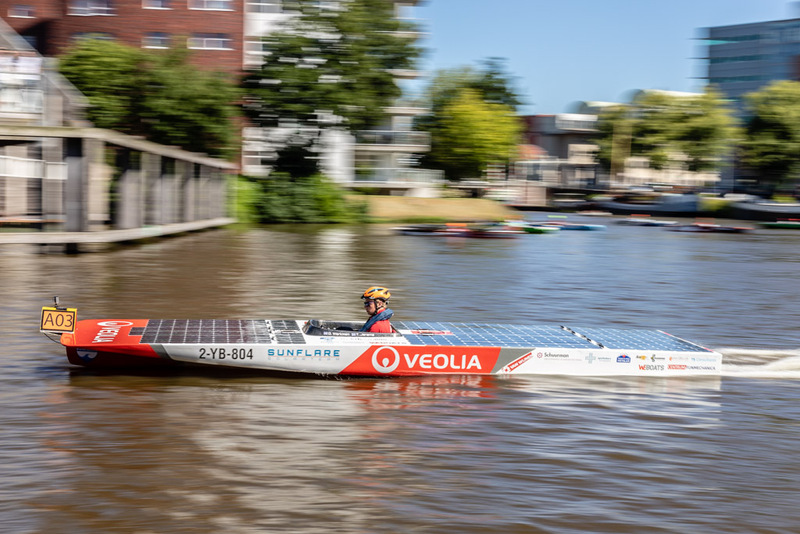 The team has joined Dutch Solar Challenge in 2014 and 2016." 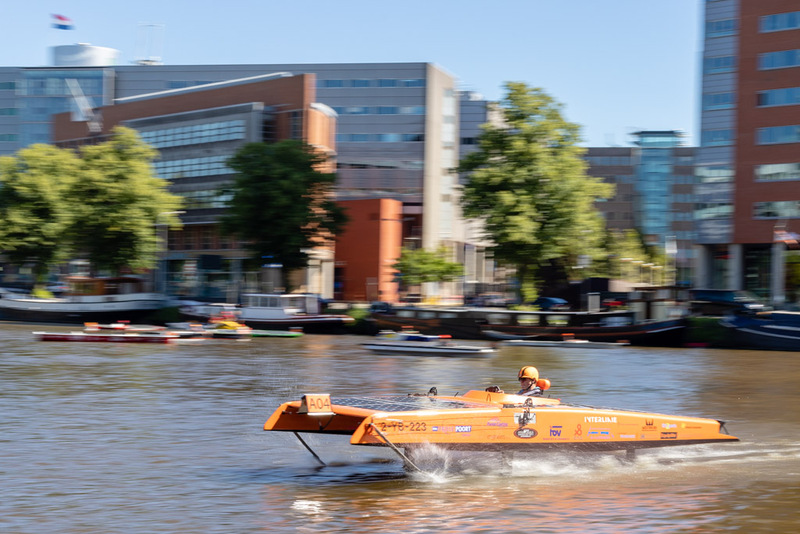 An overarching goal of the HZ Solarboat team is to stimulate cooperation between students from different study programs and the business community. By participating in this project, business people have the opportunity to transfer knowledge and expertise to inquisitive students. The students themselves have an incredible opportunity to acquire knowledge and skills that are not included in the curriculum of the program.